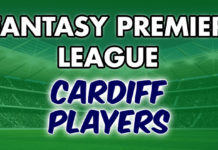 There was big news for Fantasy Premier League managers this week as it was confirmed that Everton vs Man City has been rearranged for Gameweek 25. 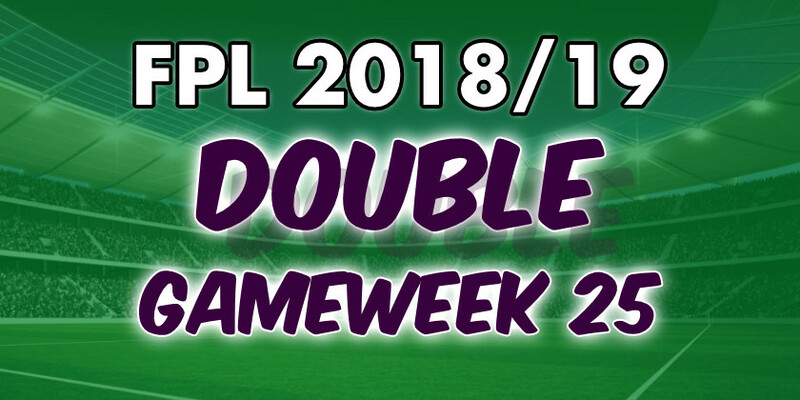 As a result Gameweek 25 is now a Double Gameweek! 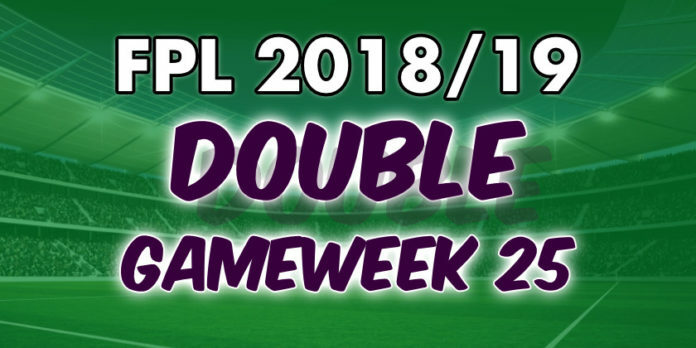 The fixture was due to take place in Gameweek 27 but had to moved because Man City are in the League Cup final which takes place on that weekend. Initially, the match was expected to be rearranged for Gameweek 32 or 35. However, as neither Man City or Everton are appearing in a FA Cup 4th round replay, there was room in the schedule to move it midweek in Gameweek 25. The other League Cup finalists, Chelsea, were due to face Brighton at home in Gameweek 27. Brighton however, now have a 4th round replay against West Brom. Consequently, this fixture has yet to be rearranged. 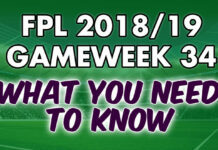 It is expected to take place in Gameweek 32 or 35. 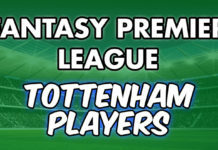 With FPL Double Gameweek 25 confirmed, managers will look to Man City and Everton players to bolster their squads. 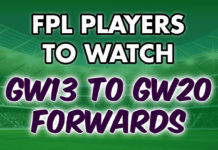 Understandably so, players from both teams will dominate the transfers ins ahead of Gameweek 25. With that said though, it should be noted both teams will have their blank in Gameweek 27. Therefore, unless you are using a wildcard now or before then, you should cognisant of the fact that Man City and Everton players won’t be getting any points in GW27. 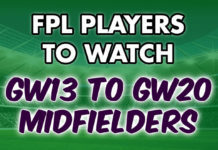 Here are the players you should have your eye ahead of the big Double Gameweek! Ahead of Gameweek 24, Richarlison is the most transferred in player. This is interesting because a Man City player would have perhaps been expected to fill this position. One explanation could be there are few starting certainties in Man City. However, Richarlison is. The Brazilian has started all but one of Everton’s Premier League matches when he’s been available. His returns make for disappointing reading though. He hasn’t scored or assisted in the last four. Moreover, this hasn’t been due to luck. Richarlison has one of the lowest ICT scores among potential Man City and Everton candidates. Even so, we couldn’t begrudge anyone transferring him in. At £6.8m he has the potential to be a bargain. He also bagged a brace against Wolves in the reverse fixture! You can’t have a discussion about Man City players without Sergio Aguero. As usual there is always the lurking threat of not starting. His upside is difficult to disregard though. Double digit hauls have been surprisingly infrequent for the Argentinian this season. The good news for Aguero owners is he has been favored to start ahead of Gabriel Jesus when both have been available. The bad news is Jesus is in great form. The Brazilian has scored 5 in recent cup games and scored a double in Gameweek 22 against Wolves. The speedy Sterling has positioned himself as Guardiola’s first choice wide man. This is evidenced by the fact he has played 90 minutes in 6 of the last 8 matches, and started them all. This has primarily been at the expense of Riyad Mahrez. During this spell, Sterling has scored twice and assisted three times. Whilst not overly impressive considering the minutes he has racked up, his ICT index is third highest in FPL behind Mohamed Salah and Eden Hazard. Leroy Sane also seems to be in favor with the ever-rotating Guardiola. He started all but two of his last 13 Premier League matches. What’s more is he is only one behind teammate Sterling when combining goals and assists. At £9.7m, a significant £1.6m cheaper than Sterling, he may be an easier route to cover the Double Gameweek. The former Barcelona man has started every league match since Gameweek 4. A guaranteed starter, check. Furthermore, Digne has a higher ICT score than any other defender this season. He has already scored three and assisted three times this season. These are impressive stats for a defender priced £5.3m. In addition to this, Everton travel to a Huddersfield side who are struggling for goals. Consequently, now could be a lucrative time to get in the Frenchman. Having Man City players in your Fantasy Premier League team is great. There is one big problem though. With such quality throughout the squad, you can never be certain of anyone starting. Ederson solves this problem. Ederson has played every minute this season in the Premier League. 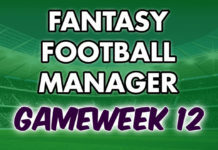 As a result if you want a guaranteed starter for Man City over the Double Gameweek look no further. Previous to the last two fixtures, it had been 8 games since Man City last kept a clean sheet. Two blanks later however, and it looks like Man City’s questionable defensive problems aren’t too much of a problem after all.